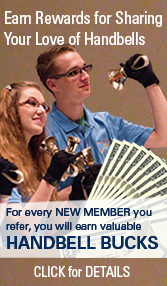 If you’ve not yet seen our first ever Virtual Handbell Ensemble, have a look HERE. Help us get as much exposure as possible by commenting and sharing. Watch us break the Guinness World Record for the Largest Handbell Ensemble Nov. 19, 2016 at the Mall of America in Minneapolis, Minnesota. 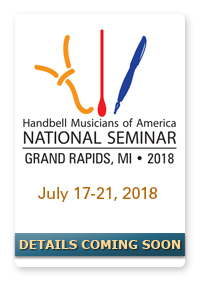 The National Seminar planning committee is seeking submissions for classes, faculty, and performers for National Seminar 2018, July 17-21, in Grand Rapids, Michigan. For classes and faculty, the committee strives to select an eclectic mix of traditional and cutting-edge topics, innovative concepts, creative track ideas, presented by both new and experienced faculty. 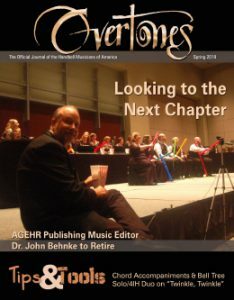 For performances, we seek a variety of performance styles from exceptional musicians including community ensembles, church choirs, soloists, small ensembles, and school groups of all ages. Follow the link below for details including dates, locations, and registration. 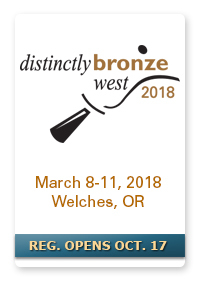 Distinctly Bronze West returns to the Resort on the Mountain in March 2018 with Fred Gramann on the podium. 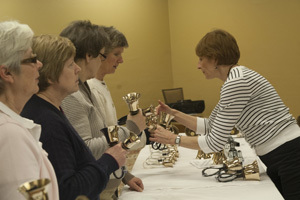 Registration for this popular event opens Tuesday, October 17 at 12 Noon EDT. 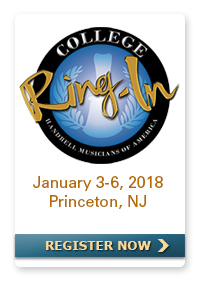 The event fills quickly, so don’t delay! As the weather is getting a bit cooler and leaves are changing colors and dropping off the trees, you don’t need me to tell you that Christmas is coming. In fact, on Facebook I’ve seen a number of posts telling or warning me how many days there are until Christmas. Some people get real excited with this news, others don’t. But ready or not, it’s coming. 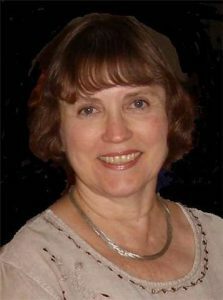 Today’s featured piece is Linda Lamb’s new Christmas arrangement of “O Holy Night,” AG36059, Level 2+. 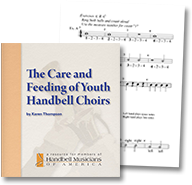 It is scored for 3-6 octaves of handbells and 3 octaves of optional handchimes. For years this beloved Christmas favorite was inaccessible to many choirs because it was written in 6/8 time, and difficult to count and play. But Linda ingeniously found a way to write it in 3/4 time using LVs, so when you look at the page, it looks easy to ring, and it is. Then I asked what her favorite part of the piece was, and she replied, “I like the chime melody part near the beginning. Although the arrangement isn’t exactly a transcription, I’ve tried to make it sound like people expect ‘O Holy Night’ to sound.” And she sure did. In fact, with the chime melody at the beginning, it sounds like a soloist singing. After 6 measures of introduction, the chime melody plays the first stanza against lovely LV upper arpeggiated notes. When the words say “fall on your knees,” it’s with big chords and shakes, all against consistent quarter note motion. This refrain returns at m. 109 with one more climatic moment ending with a fermata before it finishes beautifully with 3 chords. If you are looking a beautiful, inspiring Christmas piece that will have everyone singing the words in their heads, this is it. Please check out Linda Lamb’s setting of “O Holy Night,” AG36059 Level 2+. Just click here for a look and a listen.